This summer, the Ninth Circuit quieted any uncertainty about the viability of claims for procedural penalties against plan administrators based on claimants’ requests, under a Plan’s benefit claims procedures, for documents related to their benefit claim. In Lee v. ING Groep, N.V., No. 14-15848, — F.3d — (9th Cir. July 25, 2016), the court joined its sister circuit courts of appeals by firmly holding that the regulatory requirements imposed on plans to provide claimants with copies of documents relevant to their benefit claim under 29 C.F.R. 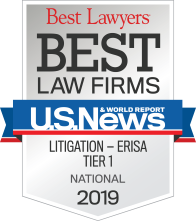 § 2560.503-1 (the claims regulations) do not form the basis of statutory penalties imposed on plan administrators under ERISA § 502(c)(1) (of up to $110 per day) for failing to timely produce required documents. ING North America produced the email communications more than a year and a half later on November 9, 2011, and the plan document more than three years later on March 11, 2013. After ReliaStar upheld the termination of his benefits, Mr. Lee filed a lawsuit alleging, among other claims, statutory penalties against ING North America — the plan administrator — for failure to produce the email communications and the plan document. Pursuant to ERISA § 502(c)(1), a plan administrator who “fails or refuses to comply with a request for any information which such administrator is required . . . to furnish to a participant or beneficiary,” may be subject to monetary penalties. Document penalties for failure to provide required documents can amount to up to $110 per day. Upon request, and free of charge, Plans must provide claimants with access to, and copies of, all documents, records, and other information relevant to the claimant’s claim for benefits pursuant to the Department of Labor’s claims regulations at 29 C.F.R. § 2560.503-1. This regulation, however, provides that its requirements “apply to every employee benefit plan,” and not expressly to plan administrators. In Lee, the district court granted summary judgment in favor of Mr. Lee on his document penalties claim under ERISA § 502(c)(1), and imposed penalties of $27,475 on ING North America. Mr. Lee appealed other aspects of the district court’s decision, and ING North America cross-appealed on the issue of whether the imposition of this monetary penalty was proper against the plan administrator. The Ninth Circuit affirmed the district court’s holding with regard to ING North America’s failure to produce a copy of the “plan document.” ING North America did not dispute that ERISA authorizes penalties against plan administrators for failing to produce plan documents (as opposed to the regulations, under which Mr. Lee’s request for the email communications was based). The court found that there was no dispute as to whether Mr. Lee requested the plan document in the course of requesting all documents relevant to his claim, that ING North America was aware of the plan document request, and that ING North America admitted that the plan document was “relevant” to Mr. Lee’s disability benefits claim. Accordingly, the court affirmed the district court’s decision to impose a monetary penalty on ING North America “for its failure to timely produce” the plan document pursuant to ERISA § 502(c)(1). With regard to the email communications, however, the court considered the purpose and scope of the claims regulations under 29 C.F.R. § 2560.503-1. Following the First, Second, Third, Sixth, Seventh, Eighth, and Tenth Circuits, the court found that “a failure to follow claims procedures imposed on benefits plans, as outlined in [ERISA § 503,] 29 U.S.C. § 1133 and 29 C.F.R. § 2560.503-1, cannot give rise to a penalty under [ERISA § 502(c)(1)] 29 U.S.C. § 1132(c)(1).” The court noted that Mr. Lee requested the email communications pursuant to the regulations’ requirement to provide claimants with documents, records, or other information relevant to their benefits claims upon request. It is worth noting that the court addressed an apparent conflict created by its earlier decision in Sgro v. Danone Waters of North America, Inc., 532 F.3d 940 (9th Cir. 2008). The court commented that, in Sgro, it “appeared to assume” that, if the plaintiff’s claims had been properly pled, a penalty could be imposed pursuant to ERISA § 502(c)(1) for failure to produce claim file documents as required under the claims regulations. In Lee, however, the court disregarded this apparent holding as “non-binding dicta,” noting that it did not “explicitly so hold,” or address the distinction between the requirements imposed on plans and the plan administrators. With its decision in Lee, the Ninth Circuit clarified that the $110 per day penalty cannot be imposed for failure to provide documents relevant to a benefit claim in response to a request made under the claims regulations. 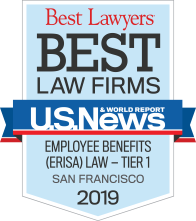 While that penalty may be imposed for failure to provide required plan governing documents under ERISA § 104(b)(4), it may not be imposed for the failure to provide documents relevant to a benefit claim. Plan administrators can breathe a sigh of relief that the threat of penalties of $110 per day based on requests for documents relevant to a claimant’s benefits claim may just be hollow. We anticipate seeing fewer of these kinds of threats and attempts to bring claims against plan administrators when a request is made for documents relevant to a benefit claim (as opposed to a request to a plan administrator for plan governing documents). However, even without the threat of statutory penalties, plans should still comply with document requests as required by the regulations because — where a benefit claim denial results in litigation — a failure to provide necessary documents may affect the level of judicial scrutiny applied to a decision to deny the benefit claim.